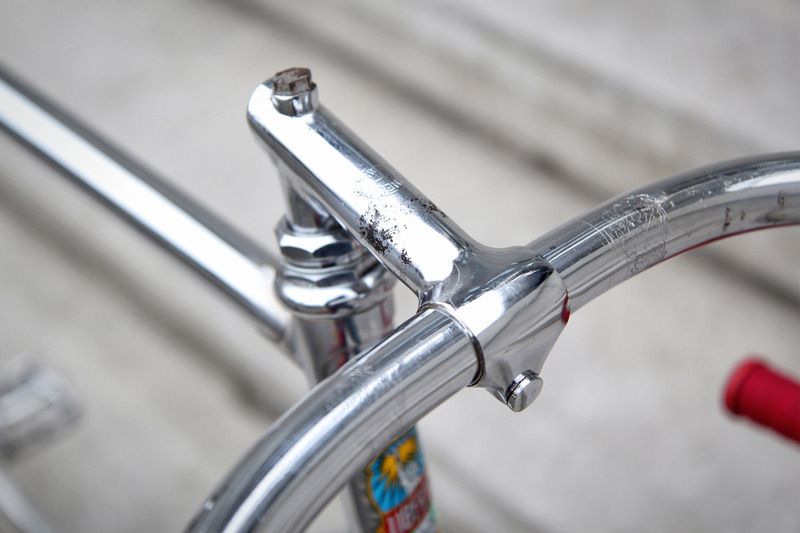 It was a good day, back in March 2013 when we acquired this beautiful chrome 1960’s steel track bicycle. We were browsing a website for second-hand goods and saw a new advert appearing by an advertiser located only a few kilometers away from us. We replied immediately and the man invited us for a visit the same day. We were welcomed by a charming elderly couple with coffee on the sofa, combined with interesting and funny stories about Belgian cycling history. The gentleman was a smooth talker, the kind of man you could listen to for hours and after a while we went to see the bicycle we initially came for. He led us to the garden and surprised us with 2 more classic road bicycles. 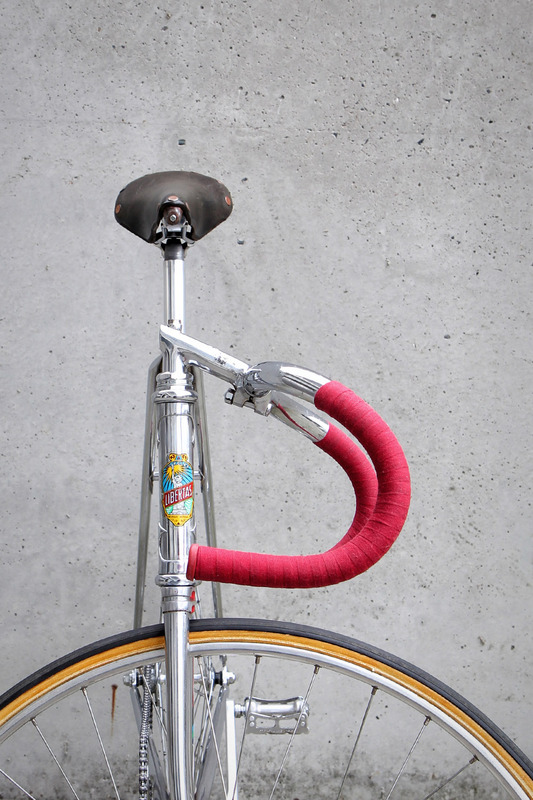 They were set up and displayed as they would be on a vintage bicycle fare, next to the chrome Libertas track bike. The man explained that he was selling the 3 bicycles for a retired friend. His friend had the bikes stored on his attic, giving them a final maintenance before they got covered in blankets for at least 20 years. 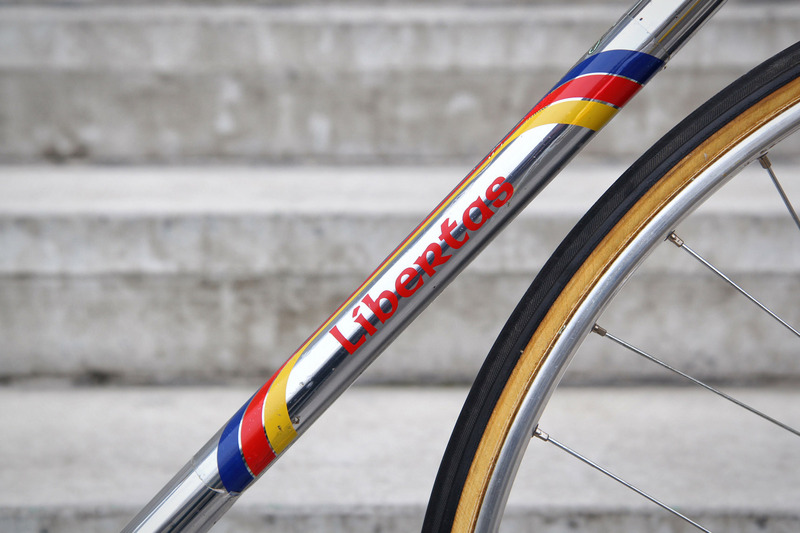 The retired man appeared to have contacts amongst professional cyclists and acquired the Libertas track bike from Marcel Rijckaert many years ago. We couldn’t resist! The deal was closed and we returned back home with 3 bikes instead of 1, some spare wheels and small components. Marcel Rijckaert was born July 20th, 1924. His interest in cycling was kindled at an early age by his father Salomon Rijckaert. 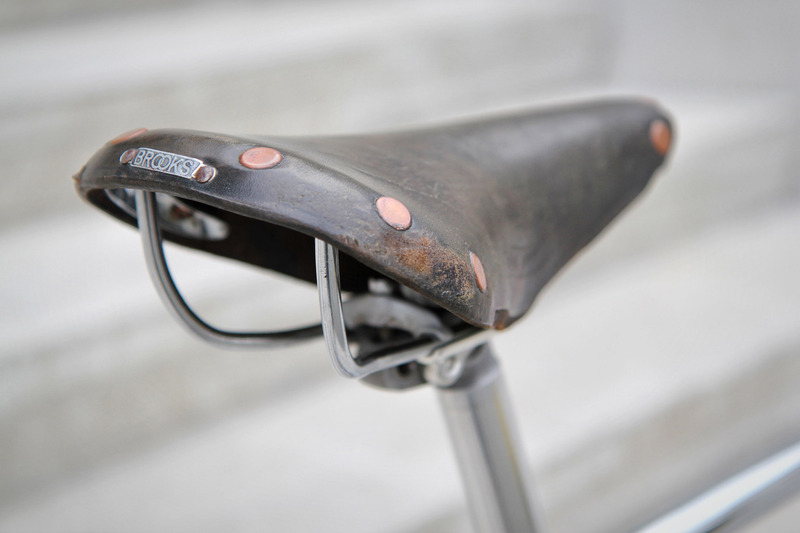 Salomon became renowned far beyond our region for his craftsmanship in manufacturing bicycle frames. Marcel Rijckaert was a strong young rider and a lightning-fast sprinter. He earned three Belgian titles and his first professional contract at the early age of 19. This would be the beginning of a professional career that lasted from 1944 to 1960. After his professional cycling career he followed in the footsteps of his father Salomon and became a valued bicycle mechanic. He started at Dossche Sport in Ghent and became head mechanic for the “Groene Leeuw” team. 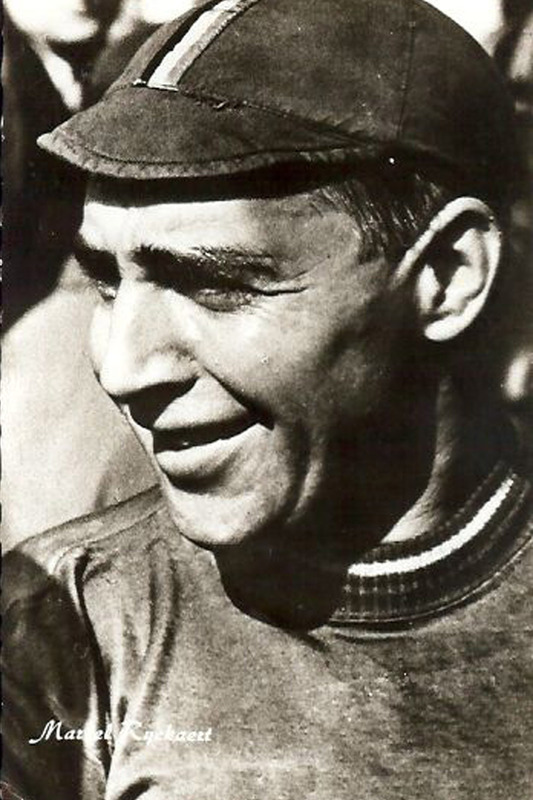 Within his glory period, Marcel Rijckaert became the trusted and faithful mechanic for Eddy Merckx. He experienced the finest and most successful episodes of Belgian cycling side by side of the greatest cyclist of all time. At later age, you could find Marcel day and night at the velodrome “t Kuipke” in Ghent where he was still fine-tuning bicycles and introducing track racing to young cyclists. After a life entirely dedicated to his beloved sport, Marcel Rijckaert passed away in Ghent on May 10, 2001 at the age of 79. 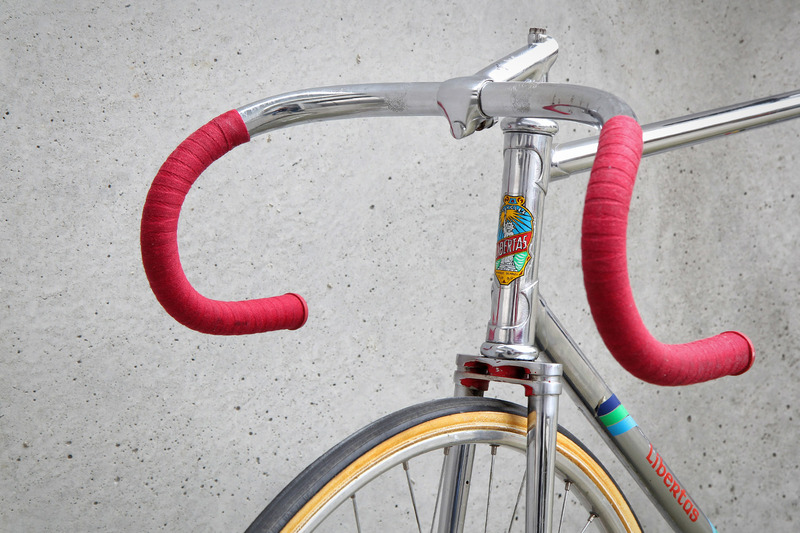 May we present to you, our 1960’s Libertas pista -rebuild in honour of Marcel Rijckaert. 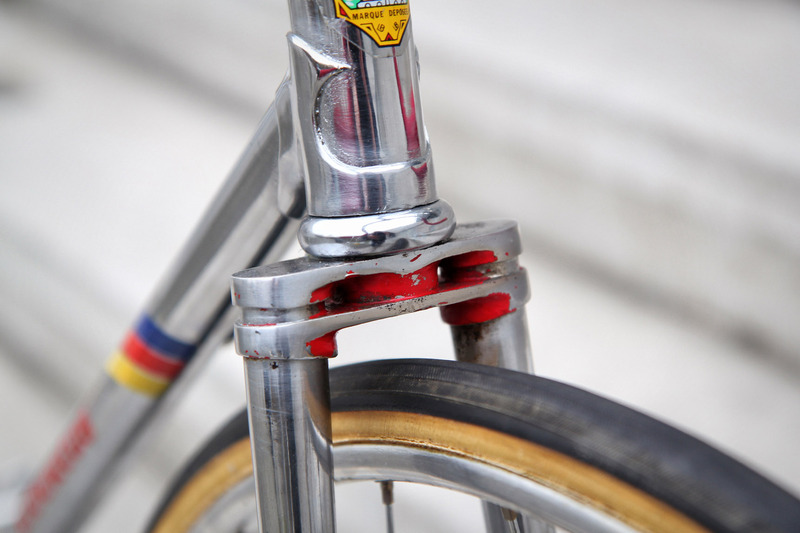 This track bike still has it’s original chrome and decals. 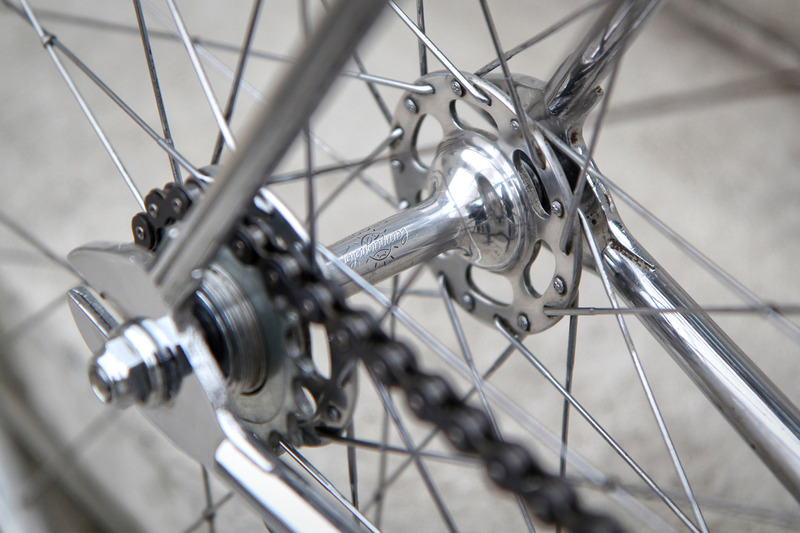 Unfortunately, some parts have gone lost over the years and this bicycle came with a mix of components, including a road crank instead of a track version. We have equipped this beauty with period-correct Campagnolo Record Pista components and rare steel Cinelli Milano Mod.14 handlebars and Cinelli Milano Mod.2 stem. A picture of Marcel Rijckaert, his smile tells us he probably likes what he sees! 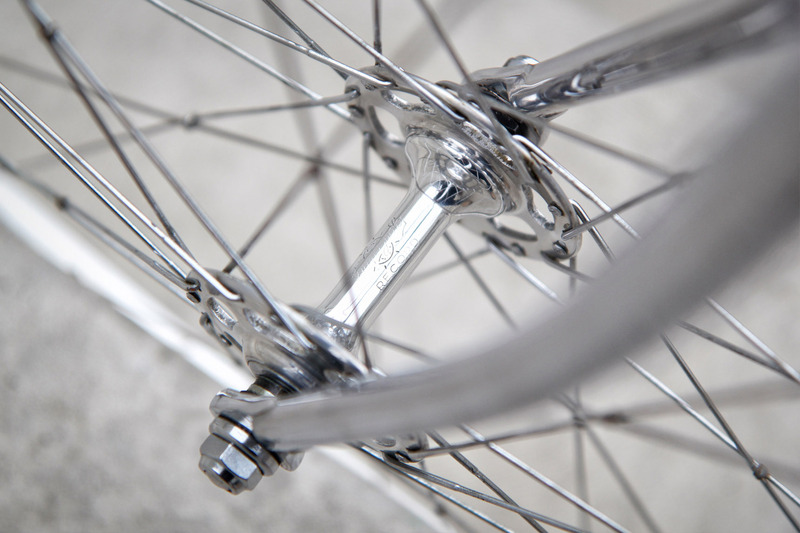 The original chrome and decals are still in a very good condition considering this bicycle is ±60 years old. 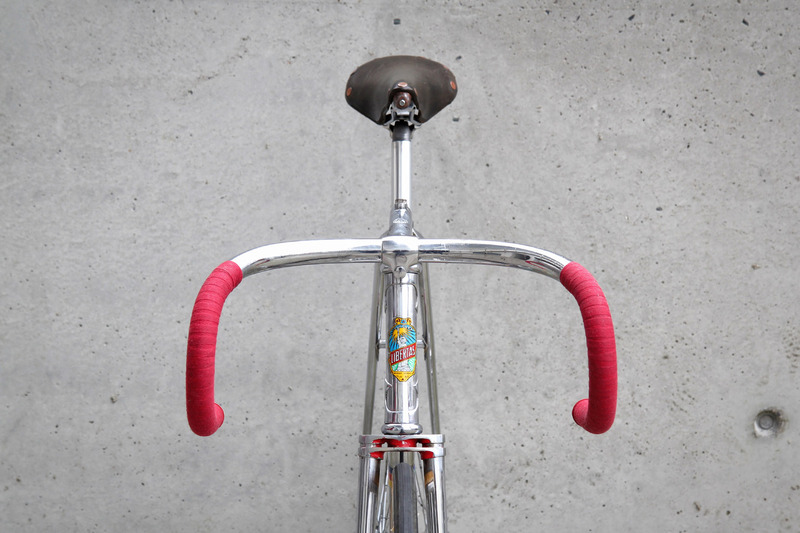 Cinelli Milano mod.2 pista stem + Cinelli Mod.14 pista handlebars with old Crest logo’s. This is the real deal… or should we say steel?! 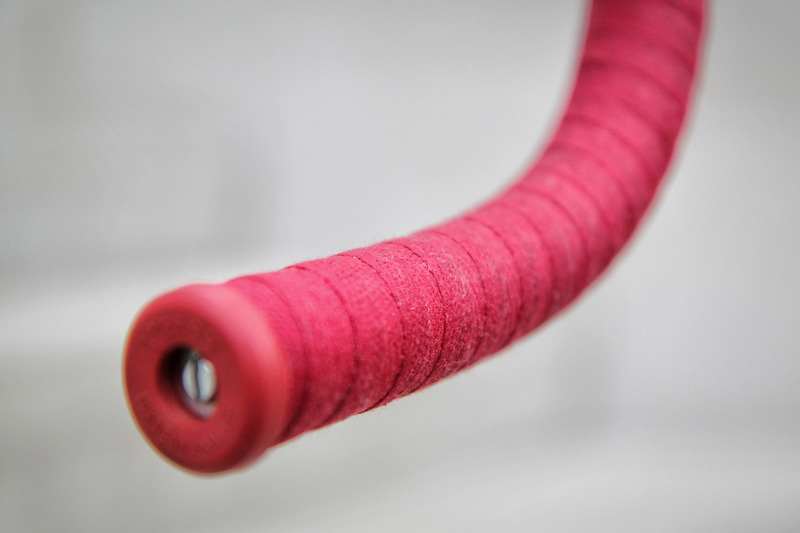 Beautifully wrapped in old, color matching cloth tape. Please share your thoughts via the comment form below! We welcome your comments & feedback! Thank you David… again! ;-) Glad to see you back! 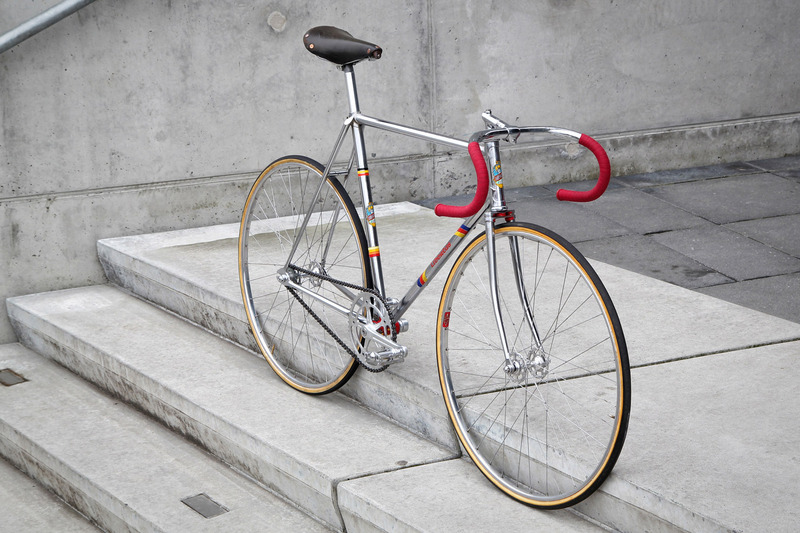 Not just a beautiful bike, but a warm and intriguing story to go with it. Thank you Neal! Welcome to Ciclostudio. We appreciate you taking the time for your feedback! 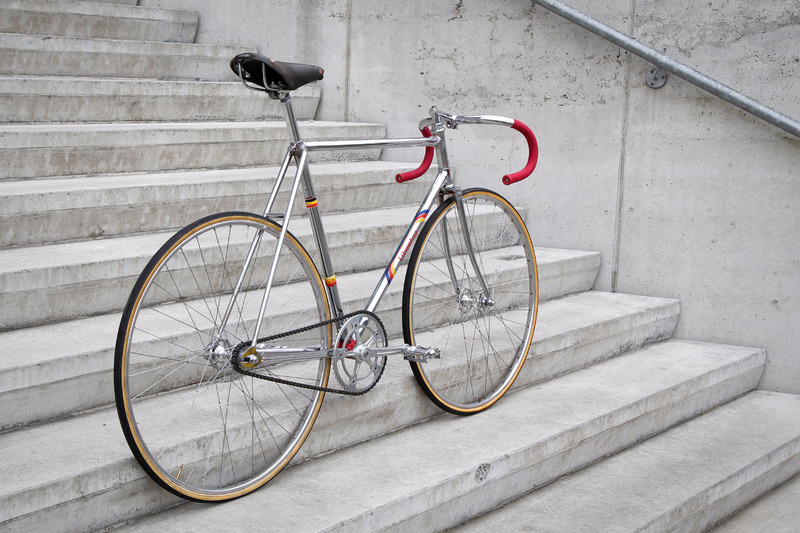 As you might already know; acquiring classic (track) bicycles isn’t like buying stock. 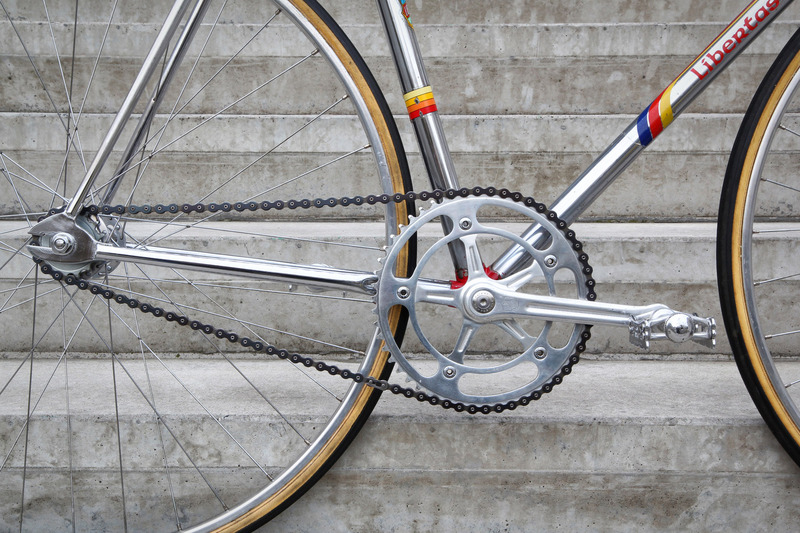 The “hunt” for these bikes and components is almost as exciting as owning them. Glad to hear you like the story! As this is a fairly new website, we are curious to know how you heard about us.